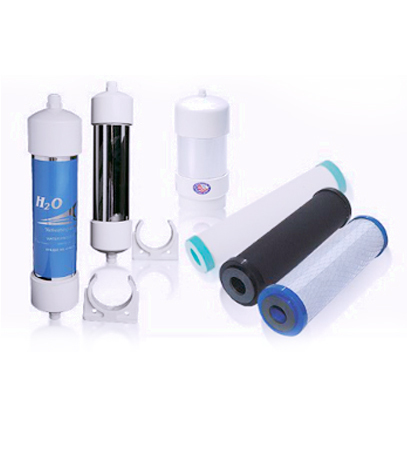 The standard replaceable pre-sediment depth filter for all H2O International whole house water purification systems with 1” ports and BB 10 housings. Fits all standard BB10 filter housings. Rated at 5 Micron pore size. Depth filters or graded density filters are manufactured with a decreasing pore size moving towards the center of the cartridge, usually in 3-4 distinct layers. This allows larger particles to be trapped near the surface while smaller particles penetrate the outer layers to only be trapped in the center of the cartridge. 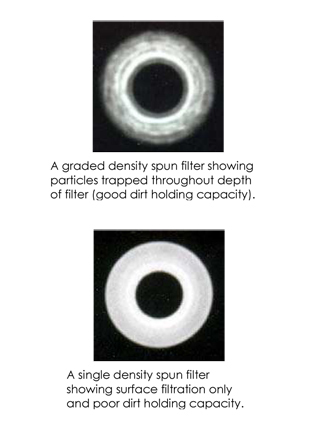 Such a design gives the filter greater dirt holding capacity and a longer working life than cheaper, uniform density filters, which only stop and retain particles on the surface and quickly clog up. 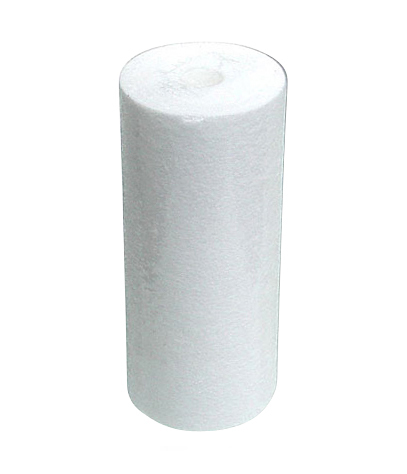 These Purtrex filters are manufactured by GE and are NSF approved. SKU: CAR029. 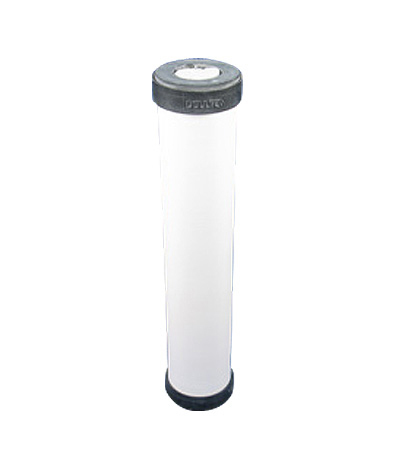 Category: Filter Cartridges, Housings, Services and Water Analysis, Replacement Cartridges and Filters.